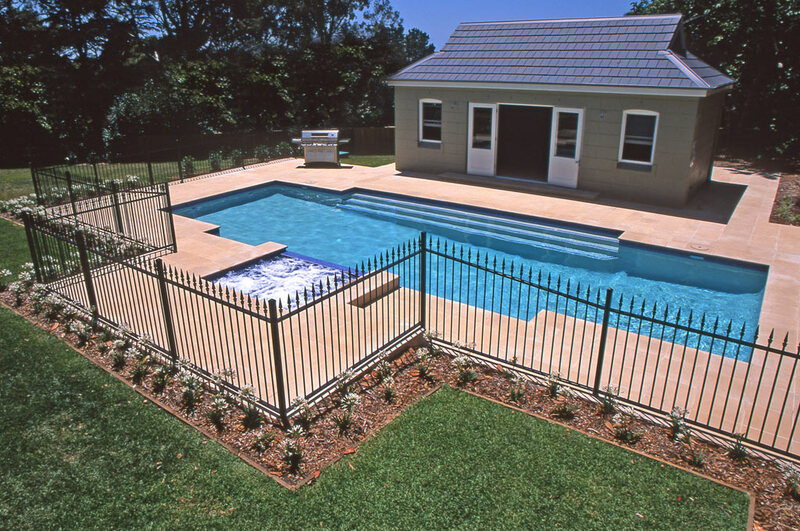 This geometric pool and spa were designed to maximise visual appeal and maximise year round swimming. 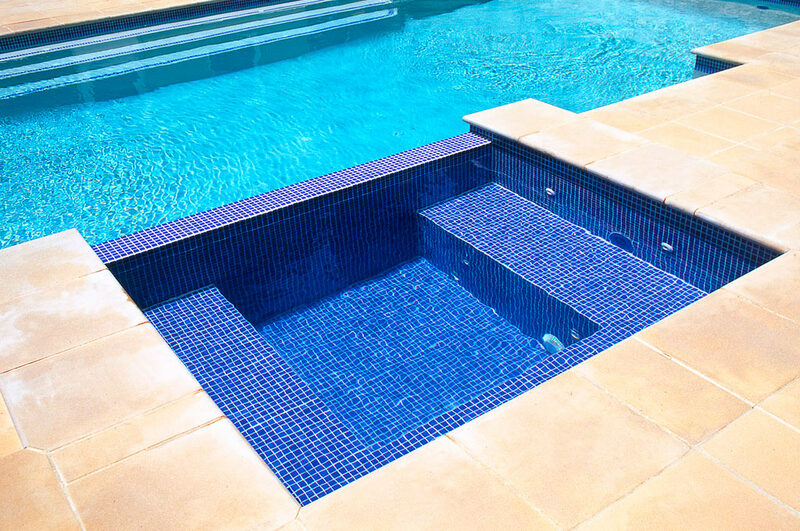 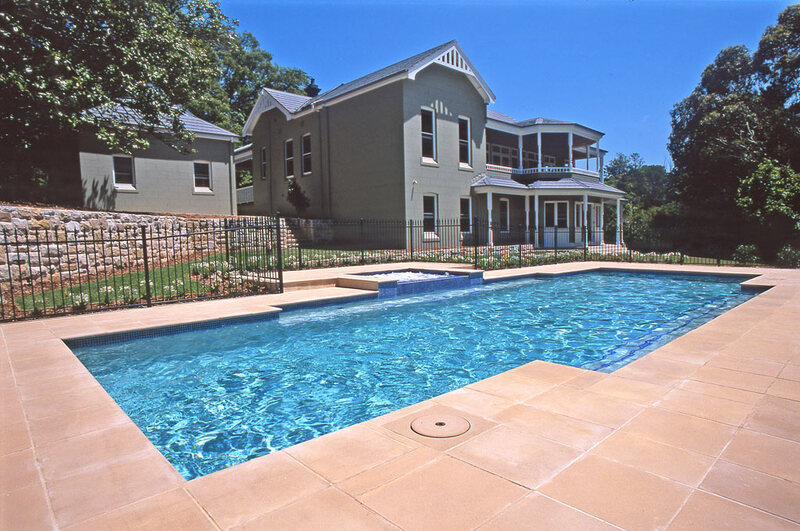 The raised spa is fully tiled and the swimming pool lined in New Zealand pebble, this complementary mix of materials gives a sky blue colour in the pool and a darker blue in the spa, in keeping with the classic look of the stately home. 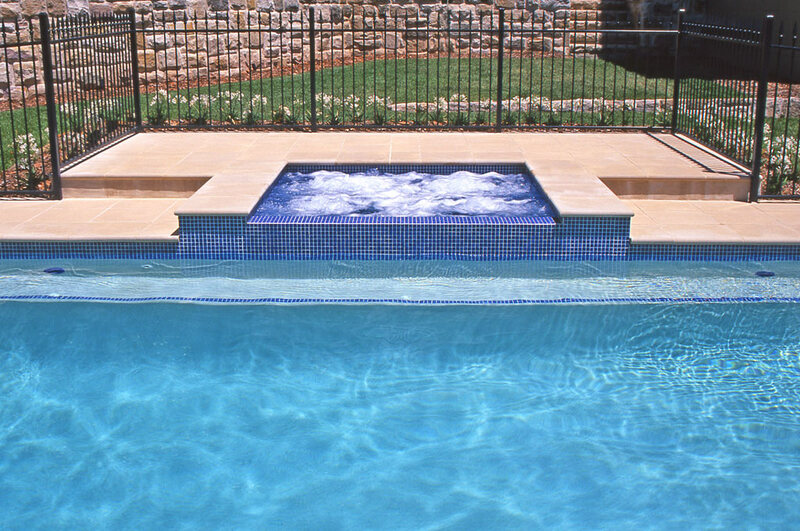 The wide steps in front of the ‘Pool House’ provide a link between the swimming pool and the entertaining areas and the extended walkways and paving around the pool and spa create a clean look. 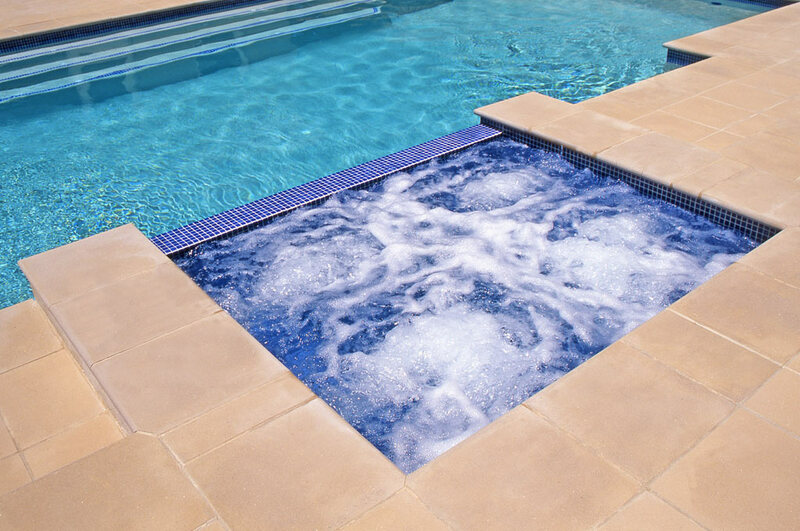 The fully-tiled spa pool features a footwell, seat and Venturi spa jets and the pool is equipped with both solar and gas heating.